Missing winter – enjoy Tamashii trailer from Hemlock Creative . It will help ease your powder abstinence. Last winter a group of friends, skiers Karl Fostvedt, Andy Mahre and Anna Segal joined filmmakers Ross Reid and Jasper Newton embarked on a journey to Japan in search of powder snow and good times – a quest to find and experience the ever-fabled “moment”. The six-week excursion to Japan with the goal of “rediscovering connections lost in our modern world. Basically, the crew took a step back from the hyper-connectivity of the modern world and went off the “digital grid,” ditching their personal electronic devices for the duration of the trip and arming themselves only with the cameras that would be used to document their excursion. Enjoy the behind-the-scenes look at the journey, presented by the skiers involved. The full-length release will come this fall. Summertime and plenty of time to drool over next seasons gear – preview 10 pairs of planks! Don’t miss this video preview of 10 pairs of planks set to hit shops this fall for the coming season. Freeskier Magazine is sharing a ski preview before the launch of their 2016 buyers guide. Case in point: above, you’ll find a playlist featuring previews of ten of next year’s skis from top brands like Fischer, Head, 4FRNT, Volkl, Faction and Roxy. Enjoy. While you’re drooling over new gear our operators are likely to make you even more excited. Our heliski operators in British Columbia, Canada and Alaska are offering experiences out of this world. Deep powder, huge terrain, amazing lodges, superb service and a 100% safety record! 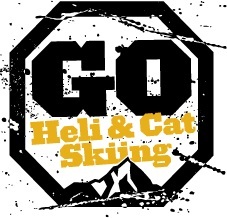 Check out our heli skiing lodges and decide what you want to book. Heliski like a rockstar… Bighorn Revelstoke is the dream ski chalet. Our exclusive heliski lodge, Bighorn Revelstoke in BC, has been awarded the best ski chalet in the world several times, and has once again been written up in one of the major ski magazines. Top ski journalist Gaby Le Breton writes for the Financial Times, Conde Nast Traveller and Tatler amonst others, and she tells Fall-Line Magazine why Bighorn is her all-time favorite ski trip! Bighorn offers a 1400 square meters of the most luxurious ski accommodation to be found anywhere in the world. Nestled amongst the forests at the foot of Revelstoke Mountain Resort, with stunning views of the Columbia River below it is the Chalet of your dreams. Looking to combine the skiing and boarding with some business, the lodge features full business conference facilities to cater to the best blend of business & pleasure. Access to two mountain ranges hit with 12-18 meters of snow every year. Unrivalled flexibility is at the heart of the Bighorn ideal. Fly into the wilderness from your private helipad, or ride the lift to the top of the tallest ski hill in North America. Revelstoke Mountain Resort is also the only resort worldwide to offer lift, cat, heli and backcountry skiing from one village base. Whether you are looking for complete relaxation with spa treatments and personal yoga instruction, or an action-packed adventure, our staff will ensure you have a once-in-a-lifetime escape.